The Crest of Leadership (shown above) was designed by "Green Bar Bill" Hillcourt as a replacement for the various local Council youth leadership training courses. The Crest was used by the BSA (and is STILL used by some 30 or so local Councils) to award to youth leaders for completing a set of individual training application requirements (similar to a "ticket" which Wood Badge participants must complete) in order to receive and wear the emblem. The emblem was originally designated as a "permanent" emblem but that designation was removed by the BSA in 1980 with the end of the "ALL OUT FOR SCOUTING!" leadership training emphasis. There are several versions of the Crest out there. In 1981, the leadership of the Blue Grass Scouting Alliance Club at Eastern Kentucky University asked and received permission to alter the Crest and to use it as its official organizational crest. More information on the Crest of Leadership and the BGSA can be found on a separate page. The following discussion is about the "Pedro" or "Scouting Tartan" jac-shirt which were also distributed to professionals. At the bottom of this page are links to the other types of jackets the BSA has developed over the years. Another page will show, for BEST uniforming, where various pieces of insignia are to be placed on those other jackets. In 1970, the BSA kicked off their "BoyPower 76" national membership campaign. The idea was to get a "representative one-third" of all Scout-aged youth into a Scouting program by the time of our nation's Bicentennial. To reward Scout Executives which met their "BoyPower 76" goal AND their Council also got 40 percent or more of all of their units subscribing to Boys' Life Magazine, a special red and green Jac-shirt was created by Woolrich and presented to Scout Executives during regional meetings. 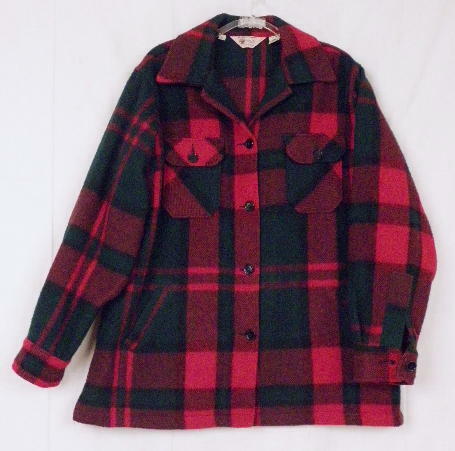 Woolrich™ went all out, not only developing a jac-shirt, but also wool blankets and other 100 percent wool items with this distinctive "woodland" design. 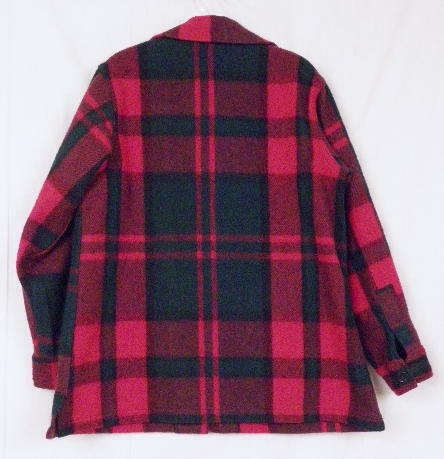 A few years back the BSA introduced the red jac-shirt which became by far the most identifiable outdoors uniform item after retiring the older green jac-shirts. Now, Scout Executives would be hard to "ID" in a crowd of red. One of the staffers with the Cub Scout Division commented on the relative success of the then-new WEBELOS program, with it's special red, gold and green neckerchiefs and suggested this design be used for special jac-shirts for WEBELOS Cub Scouts. That was quickly dismissed but the idea stuck around for a special color combination and that is how the "Pedro Jacket" (so named for Pedro, the Boys' Life mascot who appears on the jacket tab) came about. This webpage is designed for printing, three-hole punching, and insertion into Your Binder! Insignia used on these pages are © Boy Scouts of America ™ for the purpose of illustration only.